This is nice, but what I really want to see is an Elizabethan-style revenge play featuring Clippy. December 9, 1968… in an underground convention center in the heart of San Francisco, Doug Engelbart gave The Mother Of All Demos, introducing the world to an astonishing slew of technologies including word processing, video conferencing, windows, links, and the humble mouse. 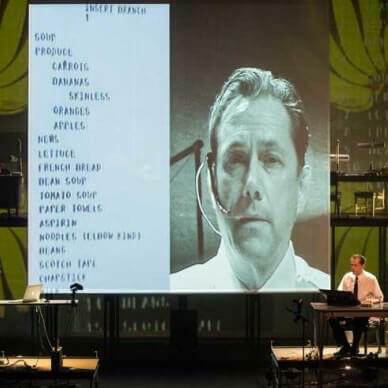 Over the course of the 90-minute demonstration, Engelbart laid the foundation for computing for decades to come.|Now, that vital moment is being reborn in suitably dramatic form: avant garde opera. —Wired. 30 Mar 2015 in Aesthetics, Art, Culture, Cyberculture, Design, Drama, History, Modding, PopCult, Technology, Usability.